Today, on the arduino.cc forums, a user had the following problem: he wanted to start video in quicktime by pressing a custom button on an arduino. 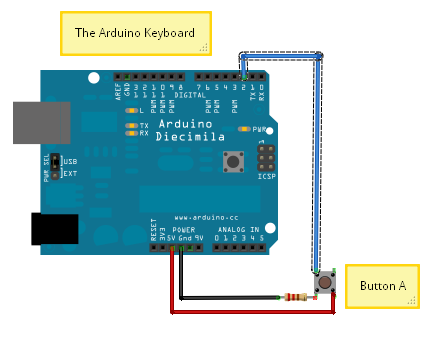 Basically, the arduino board should act as a simple keyboard for the computer. I found this problem interesting and I ended up solving it. Here is the link to the forum. Basically this problem has three parts. 1. An arduino sketch which, when the button is pressed, sends a character on the serial. 3. A program on the windows machine that translates the keystroke to whatever we want to do. Sounds tricky? It’s actually easier than it sounds. Here is a modified version of the Button.pde example that comes with the latest Arduino release. I have only added the lines required for the serial connection and a very long (2 sec) delay after the key is pressed; I used this 2 sec delay to keep things simple, but you may want to adapt the longer and more appropriate “Debounce.pde” sketch (also available as an example in the latest Arduino release) which takes care of the debouncing more efficiently. Note that if AAC Keys is activated and configured, the arduino environment won’t be able to communicate with the arduino board, as the port cannot be shared. 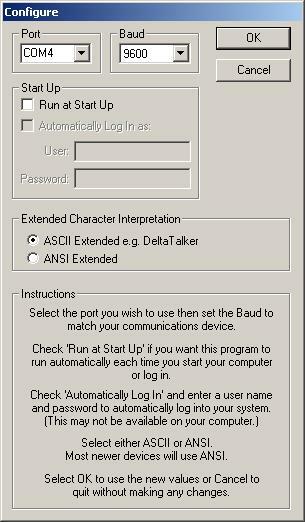 At this stage, with the AAC Keys activated and configured, pressing the button on the arduino will create the character “a” on the computer. "C:\Program Files\QuickTime\QuickTimePlayer.exe" "C:\your video path\Video_A.avi"
If the video doesn’t start directly, then go to QuickTime >> Preferences >> Player Preferences… and select “automatically play movies when opened”. My favourite windows program for these tasks is AutoHotKey. When AutoHotKey is installed, textfiles with the .AHK extension are executed by AutoHotKey. The following AHK script, when executed, will stay in the system tray waiting for the “a” key (either from the keyboard or from the arduino board) to be pressed. Run "C:\Program Files\QuickTime\QuickTimePlayer.exe" "C:\your video path\Video_A.avi"
…and that’s it! A simple (1-key) Arduino keyboard, which, when pressed, launches the video we want in quicktime.